The concept of leading a team can be convoluted and complicated to no end by writers and experts who endlessly intellectualise this subject. 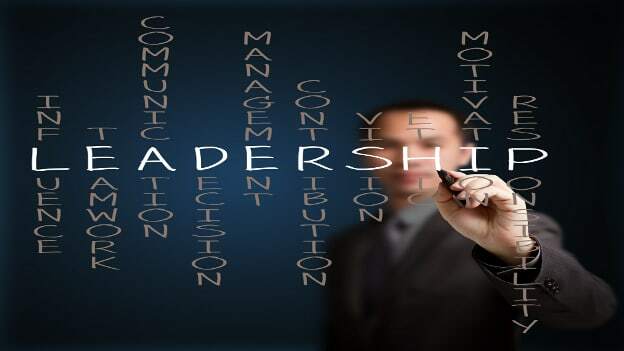 From my experience of dealing with thousands of leaders as well as people who are led, I have realised that there are some simple things that each leader needs to practice to effectively lead a team. If these fundamentals are not followed, irrespective of the personality of the leader, he/she can’t lead successfully. My request to the readers of this article is to not complicate leadership in your mind. Don’t think of it as something that only a few people can do or have the belief that it can’t be learnt. Effective leadership is a skill that can be acquired. It’s simple, though not easy. Not easy because it requires consistency in practicing certain basics every day through the chaos and the rigour of a business day. And that’s where most leaders falter. So in the limited space that I have for this fairly large subject, let me try to leave you with a few daily must do’s for every leader. 1. Start your day on a positive note: Most employees in cities have a tough time getting to their offices. They have to take care of personal chores, travel by bus, change trains, walk to office through heat or rain. Then they are welcomed by a Boss/Leader with a morose, depressing face who starts off by spitting fire about something. Such leaders usually end up de-motivating their team first thing in the morning. My suggestion: Start your day on a super positive note. A big smile on your face. A warm greeting to your team. A few pleasantries exchanged. The day may turn out to be tough, but ensure a good beginning with a positive approach. 2. Learn to Regulate your emotions: This is the key difference between good leaders and the bad ones. The difference between why MS Dhoni manages to win and get results while so many other captains falter. Good leaders don’t lose their cool easily. They are good at regulating their emotions during good times and bad. They do what is right for the situation, not what they feel like doing at that moment. Bad leaders rant, say silly/nasty things to their team [things that can’t be taken back]. They often take bad decisions when they are not in the right state of mind, which in turn has an adverse effect on the team. My suggestion: Be stern with your team when required. You may have to make your displeasure felt from time to time. But do it for logical business reasons and in a way that helps you and your team meet the final objective. Don’t do it just because you feel like or can’t control your emotions. 3. Genuine Care for your Team: Ask yourself this question and try to give yourself an honest answer. Do you really [and I mean really] care about your team? Do you really want them to succeed & progress in their jobs and their careers?? Is it your No.1 priority to help them succeed?? If not, then you are not going to get results out of people. When you care about the success of your team, they start caring about your success as a leader. Most subordinates can tell through actions and behaviour whether their leaders genuinely care or not. Think right now of all the bosses that you have had till date. Now think of the one that genuinely cared about your progress – the boss who taught you new things, the boss who encouraged you to attend training, who made you look good in front of senior management. Isn’t that the leader you would do anything for? That’s the power of genuine care and concern. It leads to a solid business result. And while you are at it, you also have the chance to be a good person. The topic of leadership is a very vast and deep. But to start with, this information is good. Doing these 3 things over a period of 15 days is your first target. It’s easier said than done. Instead of figuring out whether you are a democratic, autocratic or any other type of leader, concentrate on the simple things you must do everyday. Swapnil Kamat is the CEO and Chief trainer at Work Better, an executive education and training firm. With an MBA in Marketing and a successful stint with L’oreal as a Brand Manager, he realised his calling in the field of Training & People Development at a very early stage in his career. CNBC TV 18 Young Turks rated him as one of India’s Young Achievers and Times of India labelled him as a ‘Catalyst for Change’ for his breakthrough contribution in the field of Training & Development. NEXT STORY: Self managed teams - Empowerment or elimination?